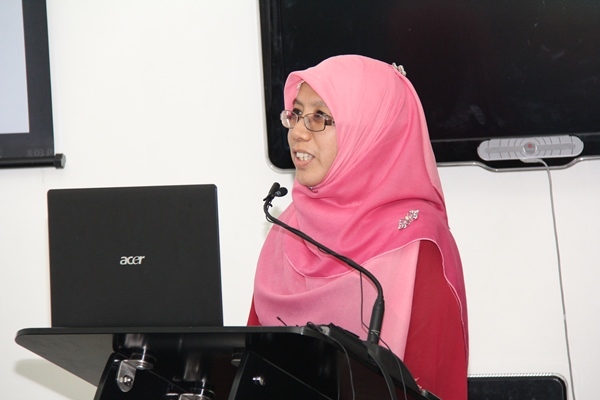 Malaysian Professor Puteri Nemie Jahn Kassim has delivered the Second Edition of the MJA Annual Lecture Series 2016. Professor Jahn Kassim of the International Islamic University Malaysia (IIUM), an expert on medical law, lectured on the topic Fundamental Concepts and Principles of Medical Law. The Lecture, held at the Training Hall of the Department of Judicial Administration, was organized by the Maldives Judicial Academy in collaboration with the Islamic University of Maldives. Professor Jahn Kassim shed light on the basic legal principles governing the medical profession, and discussed legal issues in the relationship between medical professionals and practitioners and patients with relevant case law. The Lecture was attended by Justices of the High court of the Maldives and Judges from the Civil Court, Family Court, Juvenile Court and the Criminal Court.